Monday, September 1st marks the 100th anniversary of the passing of Martha. Who is Martha and why is she important? 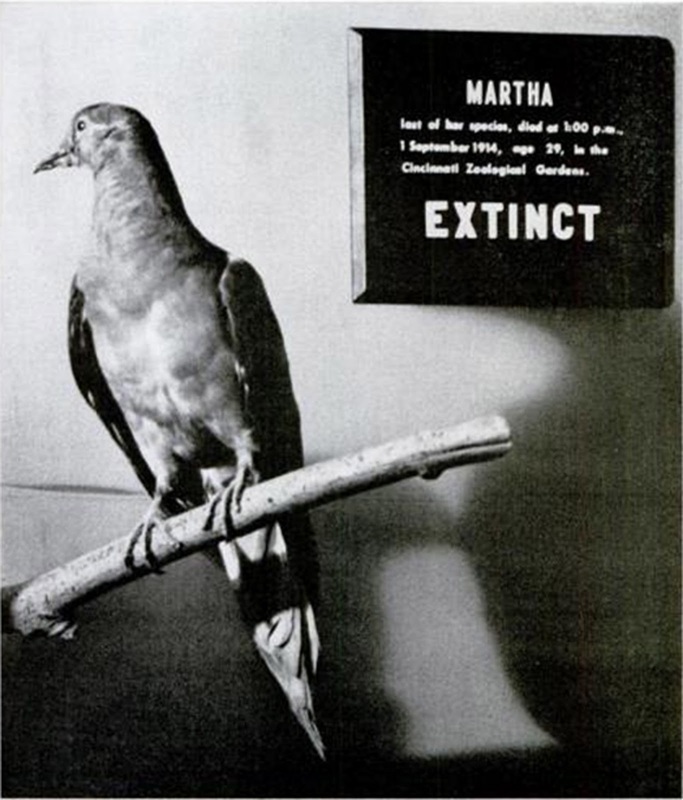 Martha was a Passenger Pigeon who lived at the Cincinnati Zoological Gardens. She was the last of her species who died at 1:00pm on September 1, 1914. She was 29 years old. In honor of her and the demise of her species, the Pember Museum will be open from 10:00am to 3:00pm. There is a special exhibit displaying two passenger pigeons and eggs in Franklin Pember’s collection. 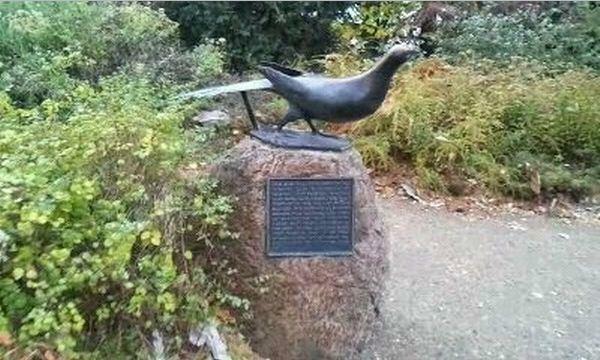 Franklin’s third pigeon is on loan to the Adirondack Museum in Blue Mountain Lake. Besides the extinct passenger pigeons, we have other extinct and threatened species along with a museum packed full of animals, sea life, rocks, minerals, fossils, insects, bird eggs and nests. The museum has free admission while operating on grants and generous donations. Normal operating hours are Tuesday-Friday 1:00-5:00pm and Saturday 10:00am-3:00pm. Martha and her memorial statue at the Cincinnati Zoological Gardens.